A spa session at Woo Wellness Spa & Salon is all set to leave you feeling relaxed, rejuvenated and refreshed. If you want to experience “tranquility through transcendence” head to the Woo Wellness Spa & Salon at Pullman Aerocity, New Delhi. This is where urban souls can escape the humdrum of the daily grind for a few hours to relax and rejuvenate. As you enter the floor on which the spa is located, the aroma that wafts through the space is so enchanting that it immediately transports you to another world. 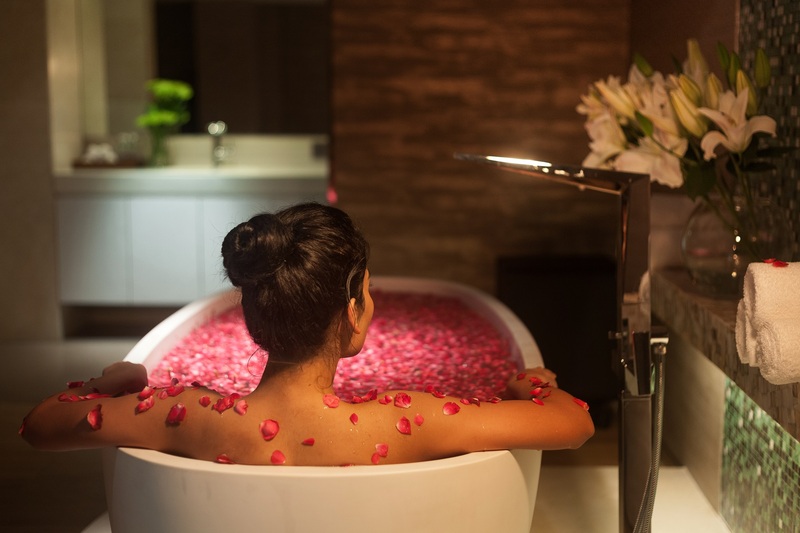 This is a space that allows you to immerse yourself in an indulgent sojourn that celebrates you, an experience supported by the four cornerstones of the services at WOO – Hydration, Purification, Authenticity and Anti- stress. I was here on a rather cold winter evening and was pleased when I was suggested the hot stone massage. This is a treatment that uses hot flat stones as part of the massage ritual and is available as a 60 or 90 minute option. After changing, Kim started the session with meditation and a foot cleaning ritual. This first step was the start of all things good as it immediately calmed my mind and sent me to a state of peace and quiet. After this I was asked to lie face down for the massage. Hansdhwani oil from Kama a combination of Ylang Ylan, Lemon and Basilin a rich Jojoba, Sesame and Sunflower oil base was used in this massage. Ylang Ylang is an effective antiseptic and a muscle relaxant. When combined with invigorating Lemon and distressing Basil essential oils, it creates an energizing blend that clears the mind and relieves fatigue. Checking with me if the level of pressure was okay, Kim ensured that all the tiredness in my muscles was released through the movements of her hands. Once the oil based massage was done, Kim repeated the same with warm flat stones that felt absolutely awesome. The stones are usually made of basalt, a type of volcanic rock that retains heat. Hot stone massage therapy melts away tension, eases muscle stiffness and increases circulation and metabolism. The hot stones also expand blood vessels, which encourages blood flow throughout the body. Interestingly my masseur used different hand techniques and synchronized movements like long strokes, circular movements, vibration, tapping and kneading to ensure that the massage loosened all the tough muscles. The procedure is repeated all across the body and feels completely therapeutic. After the 90 minute ritual, the 30 minute facial massage was ideal as I also went in for an oil based head massage that relaxed my mind completely. Post the session, a hot steam and shower and a nice cup of warm tea ensured that my day was well spent. The spa offers several other therapies as well and uses only indigenous handcrafted Ayurvedic products. These include the country’s foremost authentic, traditionally celebrated skin care brands with its foundation rooted deep into the ancient science of Ayurveda. In fact WOO has introduced the French brand Phytomer, the only skincare company in the world that has mastered marine biotechnologies and the use of marine micro-organisms to produce new, totally unprecedented, natural active ingredient to add to the experience of their guests. In fact the spa offerings here have all been painstakingly researched and include some interesting treatments like Frangipani Body Wrap that uses jojoba and white clay to exfoliate the skin and a richly scented moisturizer to replenish essential moisture. Also the Tropical Delight uses coconut as a key ingredient to deeply nourish and repair your skin. This treatment is perfect for dry and dehydrated skin from overexposure to sun or lack of moisture and water and includes Coconut body polish, Coconut body wrap, a 90-minute coconut body massage and a scalp massage over 180 minutes. In fact at WOO you are bound to be spoilt for choice as far as the treatments are concerned. So what are you waiting for? Simply indulge! Founders: Woo Wellness Spa & Salon is a part of Pullman & Novotel New Delhi.